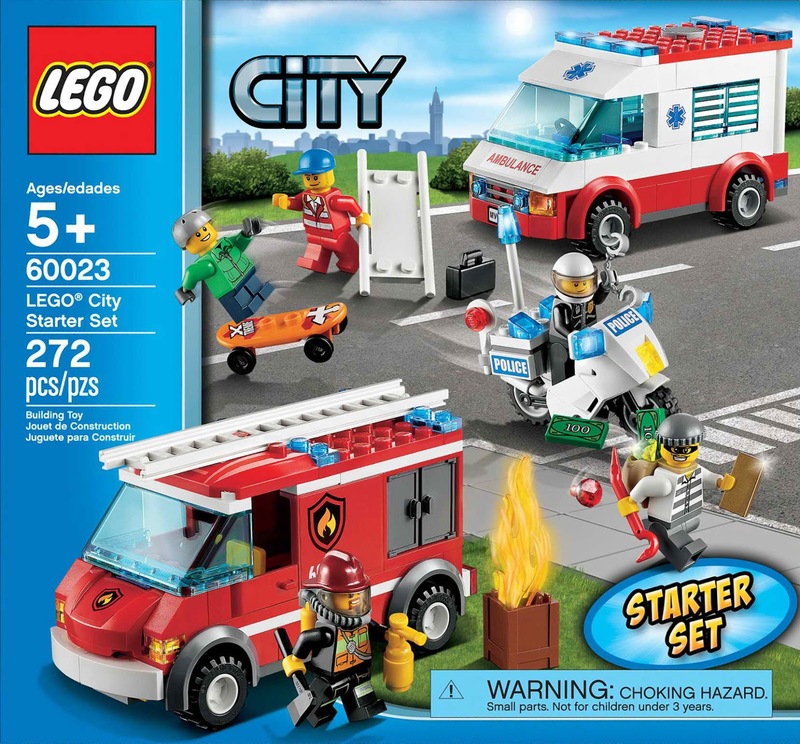 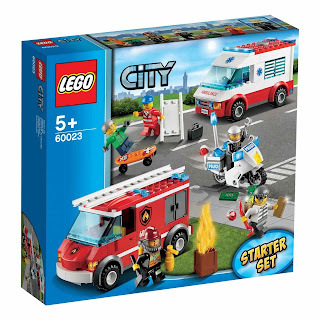 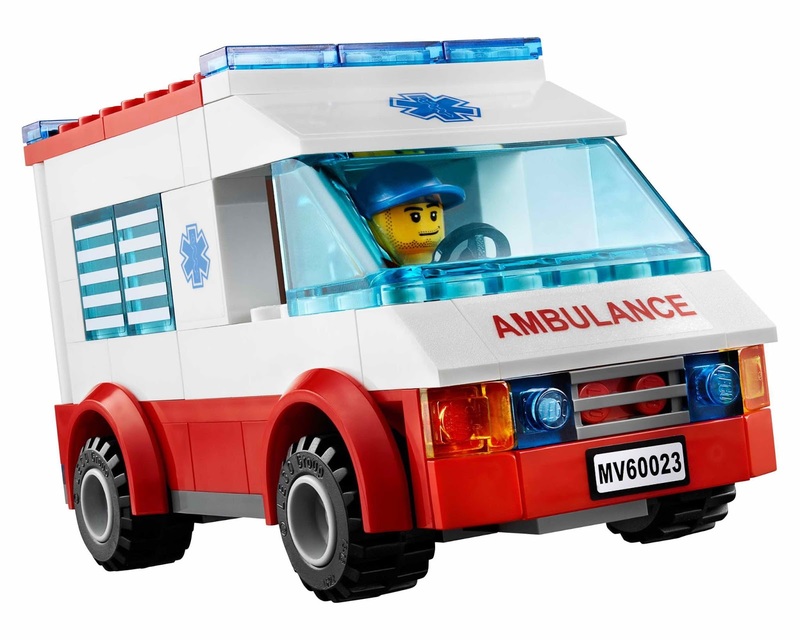 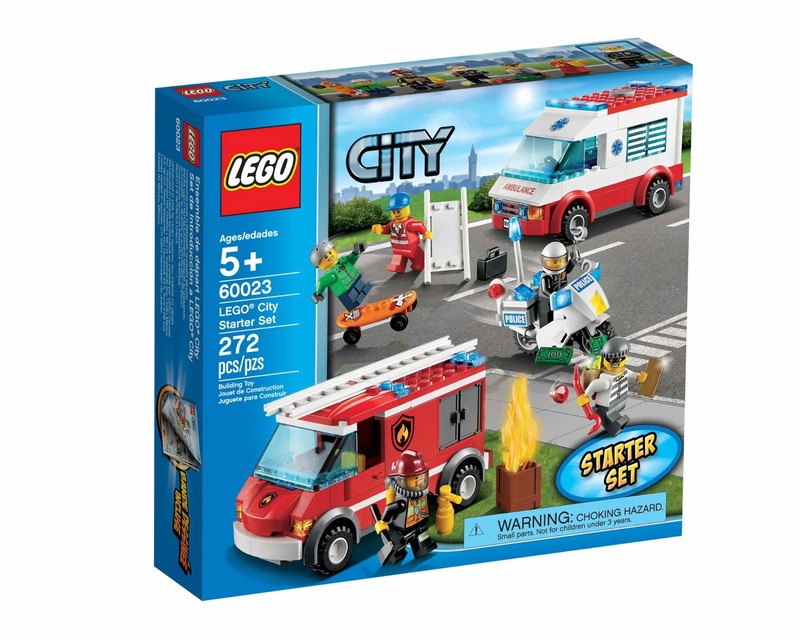 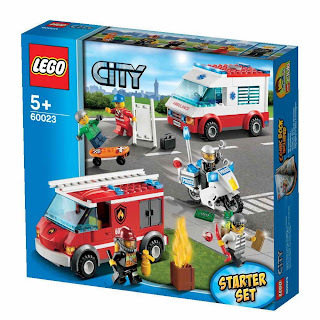 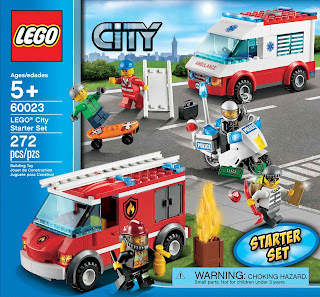 come with an ambulance, a fire truck and a police motorcycle. 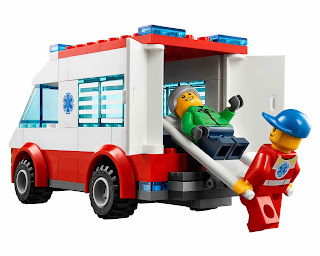 the ambulance has a stretcher. 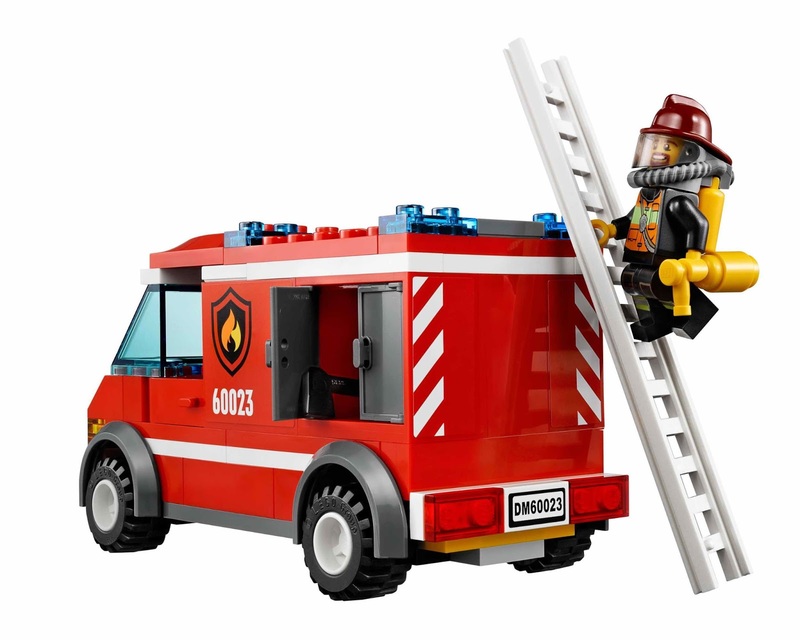 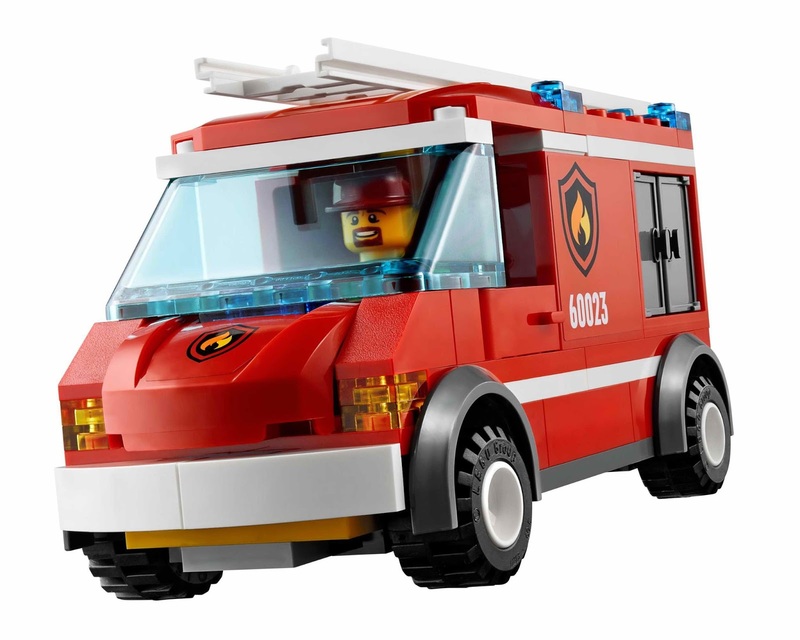 the fire truck has a ladder and a storage compartment. the motorcycle has a police sign. 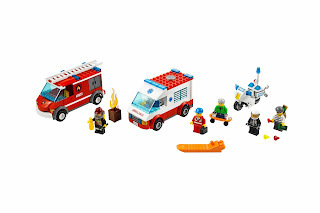 also included a skateboard, a fire extinguisher, fire equipment, a gold bar, 2 money bills, 2 diamonds, a loot bag, a handcuffs, a medical bag, a coffee cup and an orange brick separator. 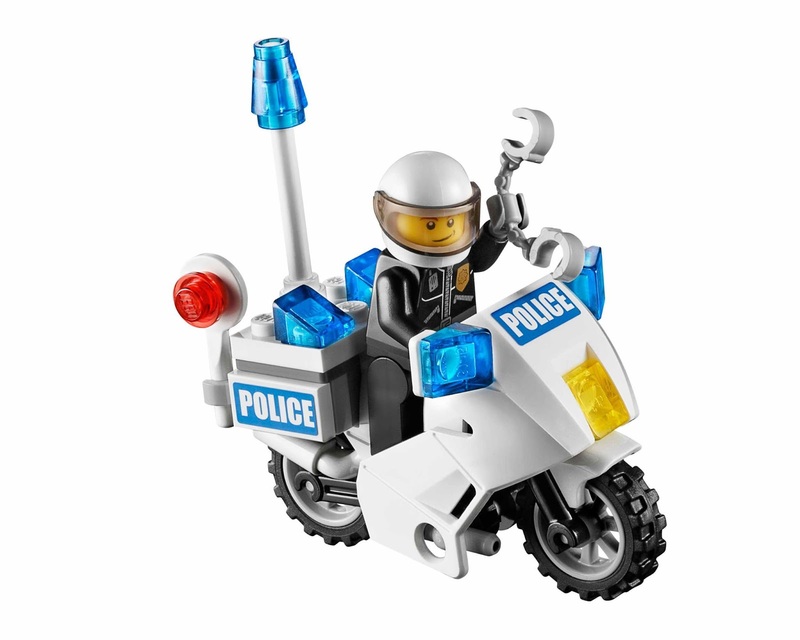 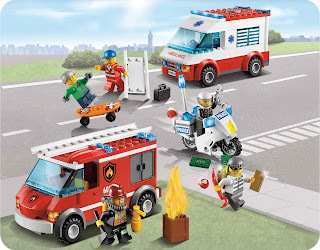 minifigs included a robber minifig, a policeman minifig, a fireman minifig, a rescuer minifig and a skater boy minifig.